Food is becoming a stylistic device. Prospectively we will be defining ourselves through our diet. What, when and how we relish with others defines us. This is the provocative thesis Hanni Rützler presents in the Food Report 2016. The Food-Pioneer analyses the impact identification via food has on the industry in the report’s newest edition, and the potential this development holds. The Food Report has been published in cooperation with the Lebensmittel Zeitung for the third year in a row. The author, who has become an icon of the food studies community, proves her sensitivity for trends and clear analysis once again. 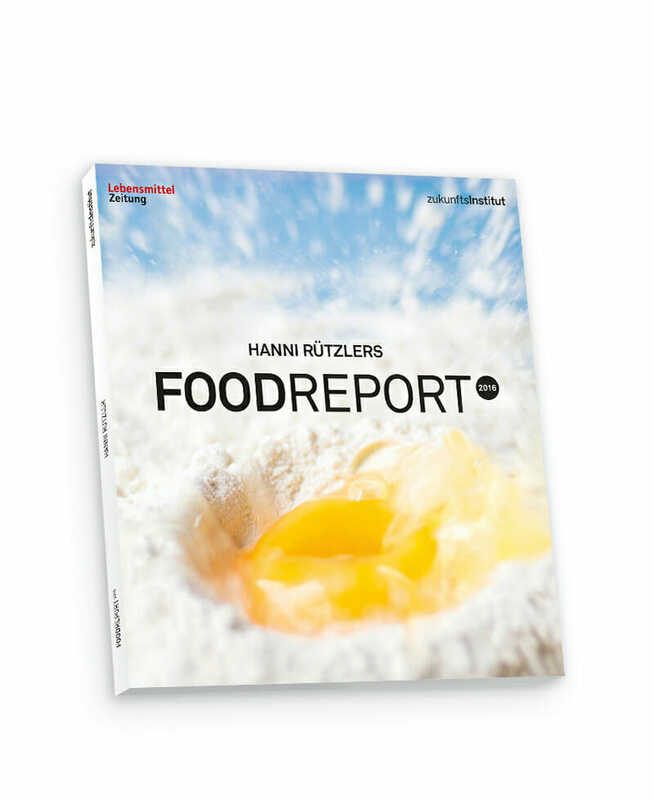 Hanni Rützler shares her knowledge in the Food Report 2016, with insights for the food industry, gastronomy and trade. Halal, vegan, kosher, gluten-free: dive into the world in which humans identify increasingly through their food and what these developments mean for the food industry. Infinite Food: Urban everyday food culture where eating around the clock is the norm. Spiritual Food: Conscious eaters are valuing healthiness and increasingly spiritual aspects of their nutrition. Food becomes a religion. Fast Good: Fast food is undergoing a quality revolution. The quick meals are being enriched by arabic, hispanic and asian culinary cultures. the renaissance of markets and market halls will challenge the food retail industry. The author describes how it can find its way into the market atmosphere and become a truly Super Market. Personal cooking has found great responsiveness amongst especially young people – turning the kitchen into a multifunctional networked center of life. Taking time for creative doing in the kitchen becomes a new luxury. The gastronomic industry is being coined by two trends: the return to classic recipes and a new down-to-earthness. Hyperpersonalization is becoming an attractive niche. The future can’t be told exactly, but by the means of consequent contention the scope becomes amplified. This is Hanni Rüztlers creed and biggest challenge, and she has been successfully working on it with the Zukunftsinstitut for more than ten years. Her publications, speeches and workshops are aimed at supporting food producers, commercial enterprise, and caterers to stay abel to make decisions and be prepared for future entrepenerial challenges. Building on her factual competence as a nutritionist and health psychologist, her interest for interdisciplinary research and the cultural and social aspects of our food, Hanni Rützler developed a very fine sense for Trends throughout her longstanding experience. 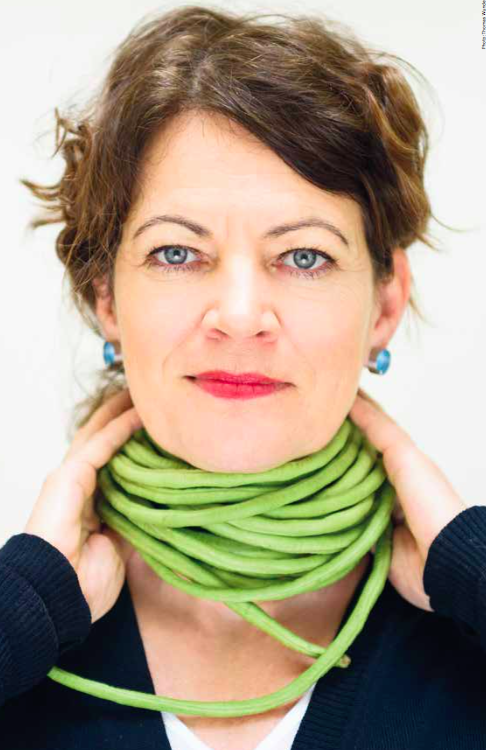 This makes the “Food Report’s” author a highly coveted speaker and consultant, whilst her international lecture tours combine her speeches with practical on site research.